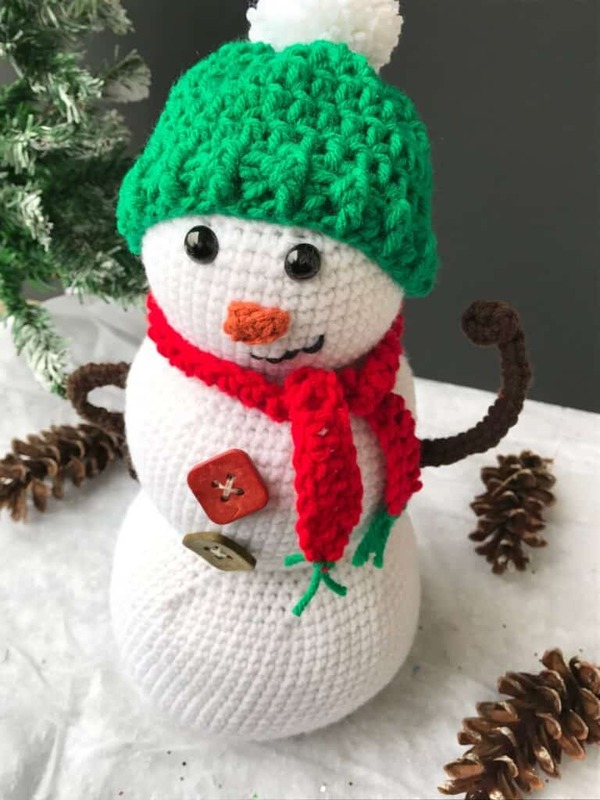 If you are looking for a fun holiday crochet along that includes both a written pattern and video tutorial, you’ve come to the right place! 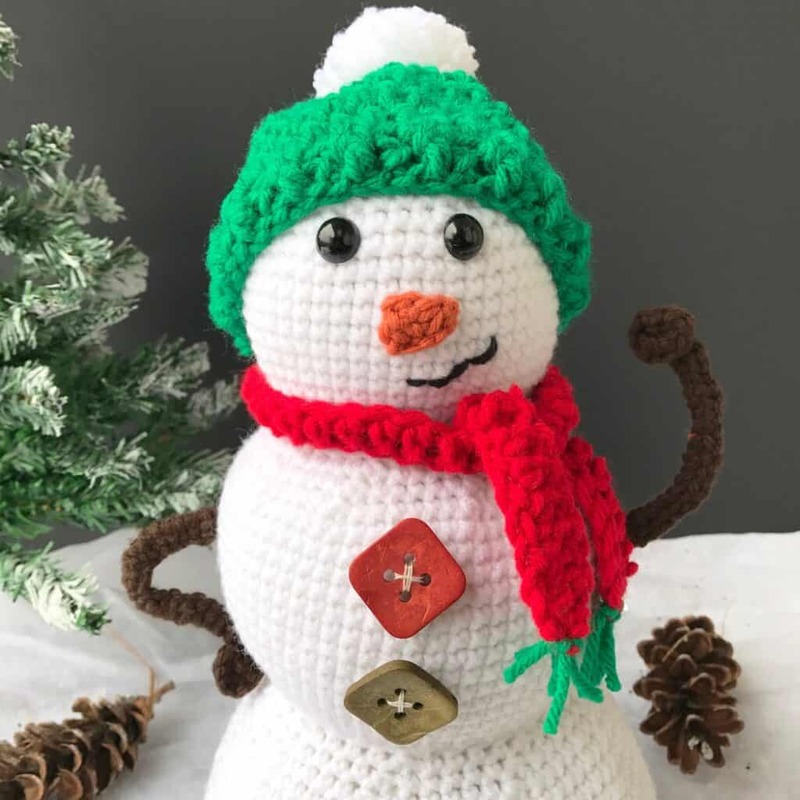 This snowman amigurumi will be made over a span of 3 weeks starting November 19th. 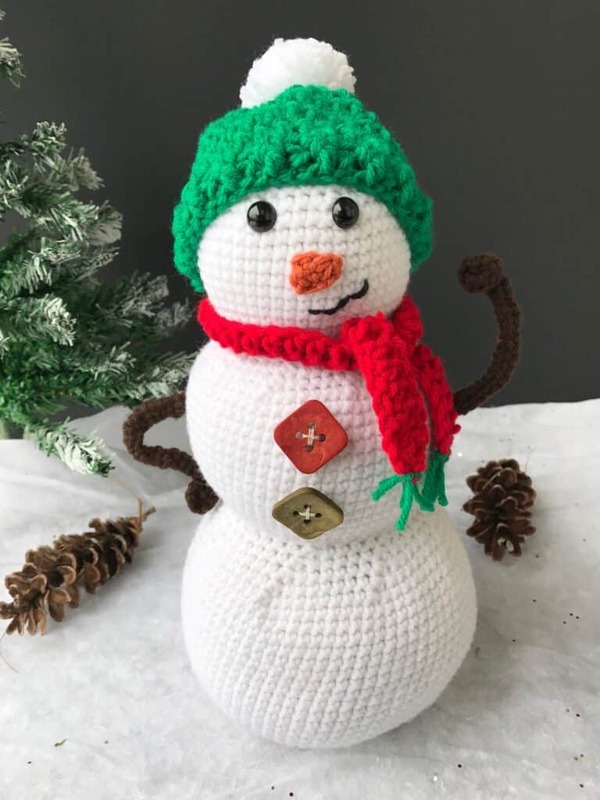 You will have this snowman done by the first week of December – just in time for the holiday and Winter season! Measuring 14″ from the tip of his pom pom to the bottom, this snowman makes a great holiday decoration for the home! It is made with basic stitches and a great project for beginners and seasoned crocheters alike! Sign up for my email list to stay posted on when each week is released. I also send an email every time I have a new, free pattern on my blog! Click here to sign up. Grab your materials and get your hooks ready! Join the facebook group, Maria’s Blue Crayon Yarn Friends, to crochet along with fellow yarnies and to share your progress! When the CAL starts, I will also have a PDF printable available for those who would like all instructions in one file to print/download without ads. Gather up your materials and mark your calendars! The crochet along starts Sunday, November 19th! If you don’t want to wait or would like an ad-free PDF printable – click here to purchase on Ravelry! Will love making your snowman. Hello from Los Angeles ? I just love, love snowman, thanks so much for the CAL.